G.M. MODI HOSPITAL is Best Hospital in MANDIR MARG, SAKET, NEW DELHI-110017, NEAR PRESS ENCLAVE ROAD. You can find G.M. MODI HOSPITAL Contact no/phone number, G.M. MODI HOSPITAL Book Online Appointment, Ask Question, Find & write Reviews, Hospital Opening and Closing time, G.M. MODI HOSPITAL Fees, G.M. MODI HOSPITAL Features, G.M. 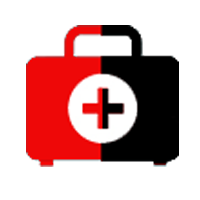 MODI HOSPITAL Doctor list on www.365doctor.in. Tags G.M. MODI HOSPITAL, G.M. MODI HOSPITAL reviews, G.M. MODI HOSPITAL Contact no, G.M. MODI HOSPITAL Appointment, G.M. MODI HOSPITAL Doctors, G.M. MODI HOSPITAL Address.